Amazon Best-sellER! 25,000+ Copies Sold! Second-home hunting has never been easier with everything you need to find and buy the right place at the best price! This newest edition reflects the realities of buying a second home in today's market! You don't have to be rich to buy a second home -- but you do need to be reasonable, in how you approach it. 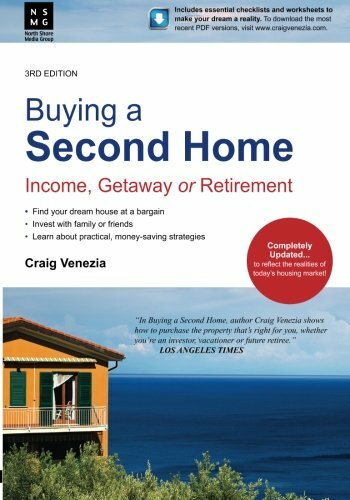 Buying a Second Home delivers the goods, showing you how to make the purchase of your second home a success! You'll learn how to identify an affordable price range, choose a great location, get low-cost financing, how to be a landlord, minimize taxes and more.